Transferred to the University Archives, February 1992 and September 1992. 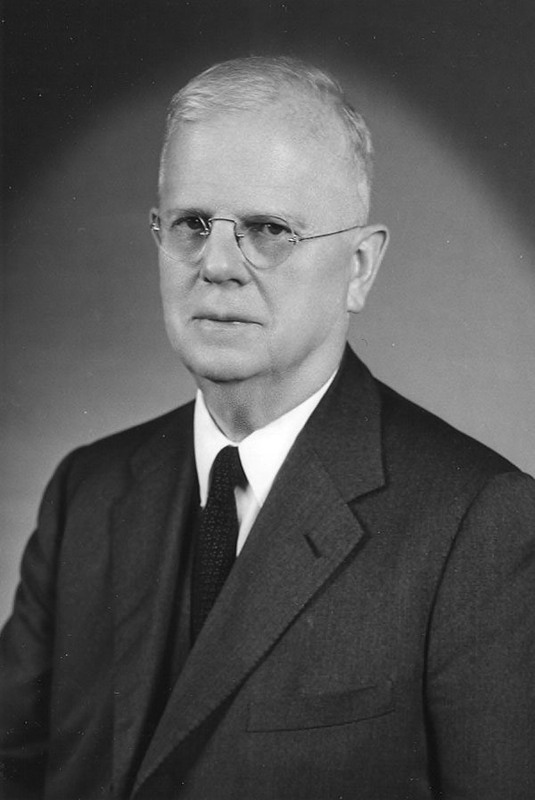 The personal records of Professor W. Norman Brown are organized into six series: correspondence, research, professional organizations, World War II, and Merganthaler and miscellaneous. Correspondence with particular individuals (especially professional colleagues) may be held in different folders related to particular activities. W(illiam) Norman Brown, founder of the first academic department of South Asian Studies, spent the early part of his life in India at Harda and Jubbulpore, Central Provinces. He was sent back to the United States for an education in 1905. Brown attended Hiram College Preparatory School, 1905-1907 and Hiram College, 1908; he transferred to Johns Hopkins, majoring in Greek, and received his Ph.D. in 1916 for his work on Sanskrit under Maurice Bloomfield. From 1916 to 1919 Brown held the position of the Harrison Research Fellow at the University of Pennsylvania. From 1919 to 1922 Brown held the Johnston Fellowship at Johns Hopkins and from 1922 to 1924 professorship of English at the Prince of Wales College in Jammu, India. Unable to secure a permanent position, Brown filled several fellowships and teaching posts until 1926 when he was awarded the chair of Sanskrit at the University of Pennsylvania. From this point forward Brown worked tirelessly to enhance study of the South Asia subcontinent. Brown organized the American Oriental Society in 1926 (which was absorbed by the American Council of Learned Societies in 1930). By 1936, he was successful in obtaining funding from this group to support the Chanhu-Daro excavation. World War II provided Brown with the unique opportunity to establish a center at Penn to train soldiers in the language and culture of the India area. By the summer of 1947 Brown’s summer program, “India: A Program of Regional Studies” was being offered at Penn. Offerings continued to be expanded until a full program was available in the 1949-1950 academic year. After building an extensive program he became emeritus professor in 1966 (but engaged in teaching in a partial affiliation through to the 1969-1970 academic year. Brown held honorary degrees from the West Bengal Government Sanskrit College, the University of Madras, India, the University of Michigan, and the University of Pennsylvania. He was curator of Indian art at the Philadelphia Museum of Art, a member of London’s Ceylon Society, a member of the American Philosophical Society, and advisory editor for the Encyclopedia Americana, and editor of the journal for and past president of the American Oriental Society. The documentary record of Professor Brown’s career reveals the broad range of his lifelong interest in every aspect of South Asian scholarship and cultural activity. His talent in philology and translation was equaled by an administrative ability to arrange archeological dig permits, shepherd authors and printers through the publication process, teach, lecture, consult, publish personal work, travel, and continually strive for increased institutional and government support for area related studies. The personal papers of Professor W. Norman Brown (1892-1975); eminent Sanskritist and organizer of the first South Asia area studies program in the U.S., include personal and scholarly correspondence, lecture notes, drafts and completed papers, and materials related to research, archeology, travel, and government service. The collection includes correspondence (letters and documents related to research, organizations, and individuals), 1920-1973; research notes, 1919-1973; lecture notes, 1919-1965; Chanhu-daro, Sind expedition, 1934-1943; government reports from the Office of Strategic Services (O.S.S. ), 1941-1947; professional association papers, 1927-1970; and Merganthaler Linotype Company files, 1934-1955 . University of Pennsylvania. South Asia Regional Studies Dept..
W.N. Brown [1960-1969] personal documents; correspondence, press clippings, travel documents, personal information, University of Pennsylvania documents, 1962 note from R.S. Radhakrishnan, President of India; Nehru eulogy, June 2, 1964, 3 pp. “The Aim of Art in India,” lecture, slideshow notes, 23 pp. “The Aim of Indian Art,” article, notes, 10 pp. “Architecture, Sculpture, Painting,” 24 pp. “The Art of India,” text of 1936 radio broadcast, 7 pp. Early Indian Miniature Painting, paper, delivered , 24 pp. ; plus course description South Asia 537-The Indian Village, 4 pp. “South Asia in World Affairs,” Feb. 22, 1964, 14 pp. “India’s View of Asia,” October 1949, 30 pp. “Course Notes-I.E. Peoples,” Indo-European notes, 230+ pp. “Painting As Manuscript Illustration in India,” 28 pp. “People and Temples of Kashmir,” lecture notes, 5 pp. “Relations of West Pakistan with Western Asia in Ancient and Modern Times,” draft and paper, 1953, 17 pp. “Religions of India,” notes, outline, 90 pp. ; plus Journal of American Oriental Society reprint- “Proselyting the Asuras (A Note on Rig Veda 10.124),” 1919, 4 pp. “The Re-shaping of India,” W.N. Brown paper, Oct. 1936, 35 pp. “Some Early Rajasthani Raga Paintings,” paper, 13 pp. “The Stories and Paintings of the Jaina Sage Kalaka,” abstract and paper by W.N. Brown, 9 pp. “Tawi Tales,” W. N. Brown manuscript, 100+ pp. Copy of “Modern Typesetting for the Scripts of India,” 1937, 17 pp. [1960-1969] papers; Annals publication, copies of W.N. Brown area studies related papers, notes, reprint of “Some Notes on the Rain-Charms, Rig-Veda 7.101-103,” by W.N. Brown, 5 pp. [1960-1969] correspondence regarding various books, articles, reviews; also copies of W.N. Brown articles “The Indian Games of Pachisi, Chaupar, and Chausar,” 20 pp. and “South Asia Studies in America Today,” 19 pp. ‘Section III’ “Population and Social Conditions,” 38 pp. ‘Section IV’ “Political,” 15 pp. ‘Section V’ “Economic,” 33 pp. “The Depressed Classes of India,” report, 112 pp. “Economic Rehabilitation in Burma,” 1 June 1945, 6 pp. “Conversation with John Scott Everton, Head of American Friends Service Committee,” dated 23 December 1944, (Field Memorandum 101(FR-172), 2 pp. “British Africa,” Jan. 13, 1945, 3 pp. “Curbs on United States Trade by the Government of India,” Sept. 7, 1945, 5 pp. “Japanese Behavior Patterns,” Office of War Information reportby Ruth Benedict, Sept. 15, 1945, 59 pp. “Japanese Thought and Action,” by Marian W. Smith, 40 pp. Mergenthaler Linotype Company, [1930-1959] correspondence, includes: Devanagari Main May 30, 1950 type chart; “Some observations based upon a visit of W.N. Brown to the Mergenthaler factory, July 3, 1936,” 10 pp. Linotype-Reports from Field, 1934-1935, 1947-1948, 1950, 1954-1955, reports about general and publishing conditions in India, Burma, etc.